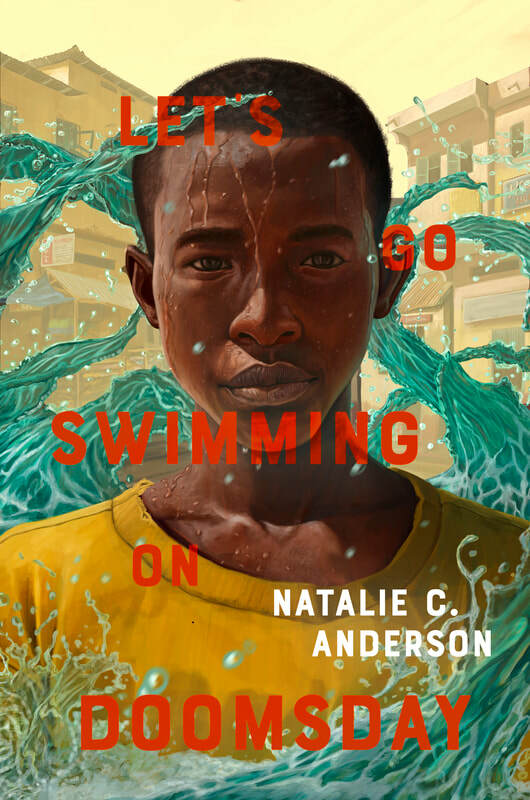 LET'S GO SWIMMING ON DOOMSDAY is on the Kids Indie Next List for Winter 2018-2019!! 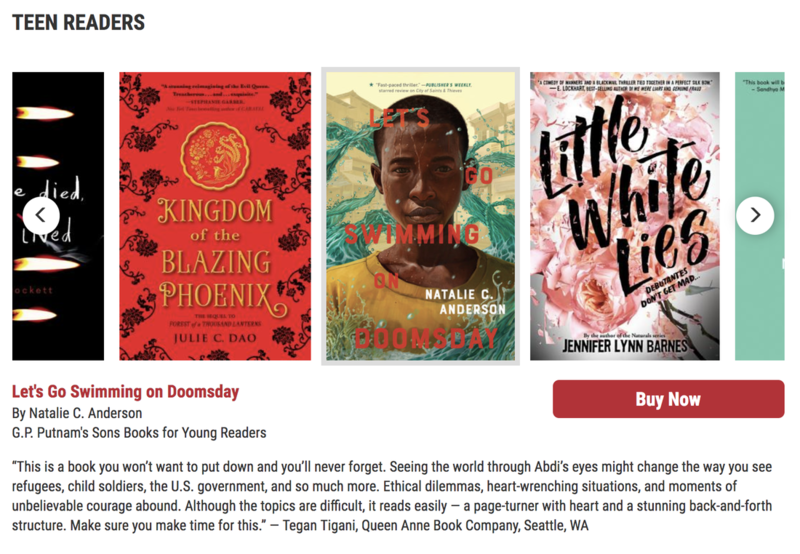 2019 Penguin Teen YA Book Preview! It feels SO far away but 2019 for YA books is shaping up to be GOOOOOOOOOOOOD! And because we know, you need to know ALL the details as soon as possible to get your TBR’s ready, we created this preview of our breaking news 2019 titles to keep you in the loop of all the best new fantasy, romance, action, thrillers and series ending dramas hitting shelves. If you loved City of Saints and Thieves (and lots of people including Kerry Washington did!) then be excited for Natalie C Anderson’s return! This heartbreaking yet riveting story of child soldier Abdi leave you on the edge of your seat. Cover Reveal for New Book! “City of Saints and Thieves” is a twisty-turny, chock-full-of-secrets, so-exciting-you-have-to-force-yourself-to-take-breaks-and-breathe kind of novel." 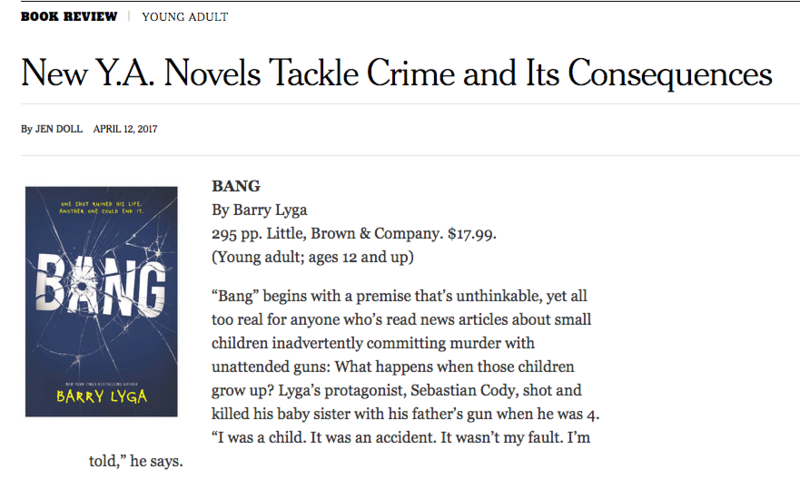 "In Tina, author Natalie C. Anderson has created an unforgettable heroine, who, like Katniss Everdeen and Lisbeth Salander, leaps off the page as a distinct individual, both strong and vulnerable."